The title of this post is the same as that of this article in Railway Gazette International. 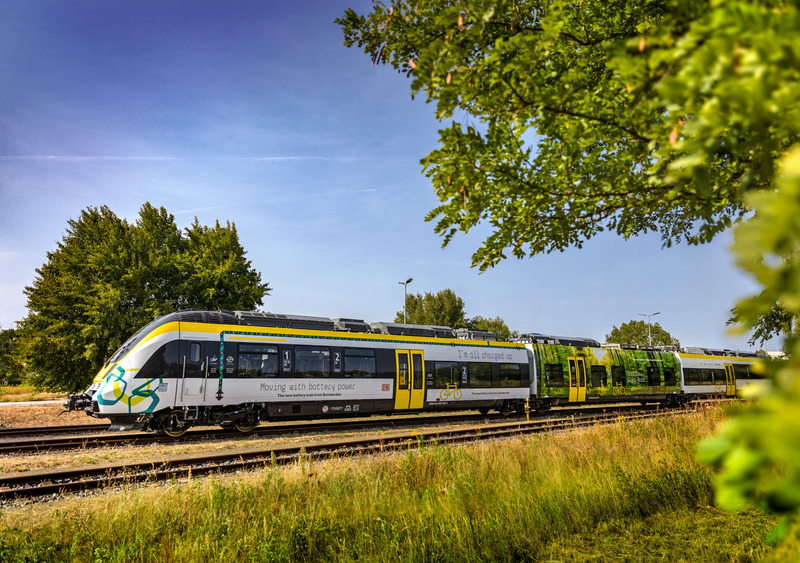 Stadler has officially unveiled the prototype Flirt Akku, a version of its Flirt family of electric multiple-units which is equipped with a battery to permit operation on non-electrified or partly-electrified routes. So it looks like another train with batteries, that joins the following, that have been announced in recent months. Angel Trains’ Class 165 Hydrive, that I wrote about in Class 165 Trains To Go Hybrid. Bombardier Talent 3, that I wrote about in Bombardier Introduces Talent 3 Battery-Operated Train. Class 230 train, that I wrote about in Battery Class 230 Train Demonstration At Bo’ness And Kinneil Railway. Porterbrook Class 350/2 Battery/FLEX, that I wrote about in Porterbrook Makes Case For Battery/Electric Bi-Mode Conversion. There are also several projects using MTU Hybrid Power Packs. What new projects will emerge in the next couple of years?